As you must have read in my last post about crease and contour eyeshadow differences between Asians and Caucasians, typical eye type charts and tutorials that conveniently lump all types of Asian eyes into one simply do not work. There are specific makeup techniques for Asians. I will share in this post how to apply makeup on the different types of Asian eyes. Of course the Asian eye is not limited to just these 14 types, but these are the most commonly seen ones. As per my disclaimer in my previous post, by ‘Asian’ I refer more specifically to East and Southeast Asians as Western Asians (Middle East) and Southern Asians (Pakistan, India, etc) have anatomical traits more similar to those of Westerners. Use a medium to dark eyeshadow shade on the contour area instead of the crease and blend in towards the inner corner of the eye, stopping at no more than 1/3 from the outer lid. However every eye type requires some tweaking to the Super General Guidelines – a little more contour or a little less, a thicker eyeliner or a thinner one, black eyeliner on the lower waterline or a white one. So read on to find out eye makeup tips for your eye type! Makeup Tips: While I don’t agree with calling them ‘perfect’ since everybody’s idea of the perfect eye is different, almond-shaped eyes are the most common type of eye. They are proportionately sized to the rest of the facial features and have a slight upward lift at the outer corner of the eyes to suggest a more youthful looking appearance. Almond-shaped eyes are very versatile to many kinds of makeup looks. So if you have them, dare to experiment with funky colors, deeper colors, different eyeshadow placements, and thicker eyeliner progressing outwards to intensify the eyes! Makeup Tips: To create the illusion of a wider gap between the eyes, keep more intense eyeshadow colors at the far corners of the eyes. Do not place dark eyeshadows more than 1/3 into the lids as that would make the eyes appear even nearer to one another. Apply more mascara on the outer corner of the eye to build volume outwards. You can also draw your eyebrows further apart to ‘pull’ the eyes away from each other. Makeup Tips: To visually bring the space between the eyes closer to one another, bring a darker eyeshadow color from the outer corner of the eye closer to the middle of the eyelid. You may use more intense eye shadow colors near the inner corner of the eyes. You can also draw your eyebrows closer to one another to make wide-set eyes appear closer together. Contouring your nose can also help in reducing the distance between the eyes. There isn’t a comic representation of ‘Big Eyes’ so I used Vicki Zhao’s photo instead. She has large, expressive eyes that do not diminish in size even with all that thick black eyeliner. Definition: Due to a larger opening of the eye, there is a lot of white space and almost or the entire pupil can be seen. Gosh, I make my eyes sound alien. LOL! Makeup Tips: Enhance the shape of big eyes by adding depth with darker colors on the contour area. For big eyes, it is safe to apply darker colors on the lower lashline as it will add color and more dimension to your eyes without closing up your eyes too much (since you have a lot more space to spare). If you want to make your eyes appear smaller (like if they look kinda disproportionate to the rest of your face), frame them with black eyeliner on the lashline and waterline and dark eyeshadows. Definition: Much less of the white of the eye and pupil can be seen. Such thin-slit eyes are not uncommon in Asia. Makeup Tips: For eyes that appear to be smaller than every other feature on the face, make the eyes appear bigger and rounder by applying light shadow on the lids and dark black eyeliner at the base of the eyelashes. Widen the thickness of the eyeliner while you transfer out towards the outer corners of the eyes. A little upward tick at the outside corner will add lift to the eyes. Apply white eyeliner on the bottom waterline to open the eyes. For small eyes, try to keep using dark eyeshadow colors to a minimum as they will just close up your eyes. Instead, work on creating lush lashes with double coats on both upper and lower eyelashes. Definition: Round eyes do not look perfectly round like marbles (LOL! ), they just look rounder than almond-shaped eyes. 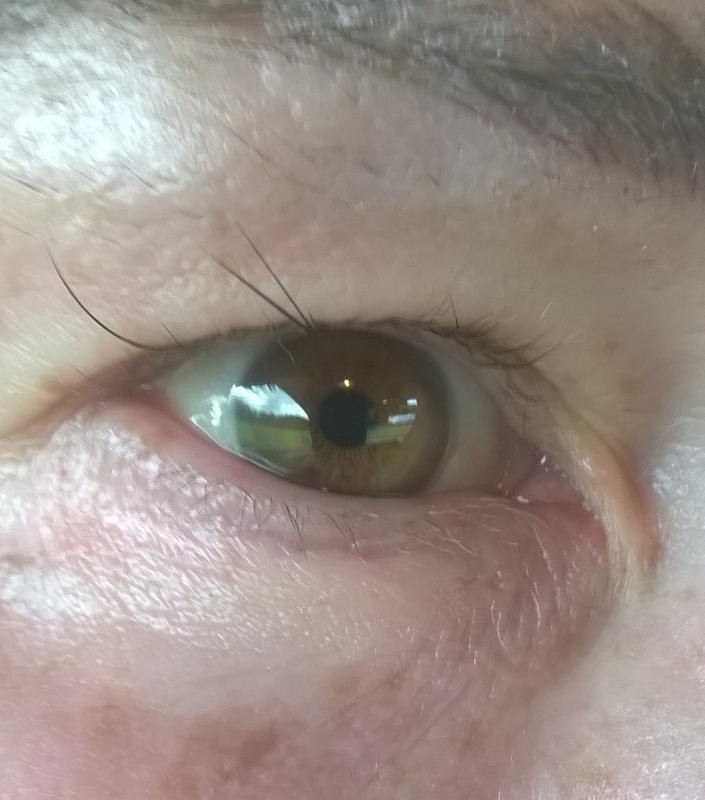 A lot of the pupil and white of the eye can be seen. Makeup Tips: In Asia, manga-like round eyes are highly desired as they imply innocence and youth. Round and large eyes are highly sought after in Asia. Google: Ayumi Hamasaki. If you have round eyes and prefer to elongate them like into almond-shaped eyes, draw darker eyeliner beyond the outer corner of the eyes. Use a darker eyeshadow color to contour according to the shape desired. Definition: The difference between Round Eyes and Small Round Eyes is that, the Round Eye is longer in length than the Small Round Eye. You can see more space on the sides of the pupil in Round Eye than in Small Round Eye. Makeup Tips: Avoid applying eyeshadow that follows the shape of the eye. Instead, apply the contour eyeshadow shade up and out. To lift droopy eyes, apply eyeliner in the inner edge and a thicker smudged one at the outer edge towards an upward angle. Like a cat winged line. Curl your lashes and apply more mascara on the outer lashes for an overall lifted look. Definition: Puffy eyes are a result of a thicker layer of fat underneath the lids that causes more protrusion than the average Asian eye. Prominent Eyes do not imply puffiness; likewise, Puffy Eyes do not imply prominence. Makeup Tips: I put these 2 types of eye together as they share a common goal with makeup. That is, to reduce the appearance of bulge and make the eyes not dominate the rest of the facial features. Instead of following the Super General Guidelines above which suggest using a lighter color on the lids, apply a medium shade on the upper lid to immediately tone down the pronounced eyelid. You want to use dark colors to recede the prominence or puffiness. Then use eyeliner and line the lash bases from corner to corner to remove the spotlight on the pronounced eyelid. Makeup Tips: Although some depth in the eyes can speak more emotions, we don’t want eyes that recede too back into the sockets. Deep-set Eyes can be said to be the opposite of Prominent Eyes. To bring out deep-set eyes, use paler shades around the eyes to enhance them. Use a slightly darker eyeshadow color at the contour area (try not to use black) and blend towards the brow bone. Apply thin eyeliner along the lashline. A thick eyeliner line will make the eyes disappear underneath the browbone. Definition: This happens when the skin on the outer area of the eye starts to sag, thus covering more of the eye and resulting in a triangular shape. Makeup Tips: For triangle-shaped eyes, you want to create the illusion of lifted eyes and a higher well-defined contour. Besides following the Super General Guidelines, draw the eyeliner thicker as you go towards the outer corner of the eye. Add a wing to lift the eyes visually. A similar type of eye is Hooded Eyes, which may or may not be the result of sagging skin. Hooded eyes are very common among Asians due to the fatty underlying tissue of the eyelids. 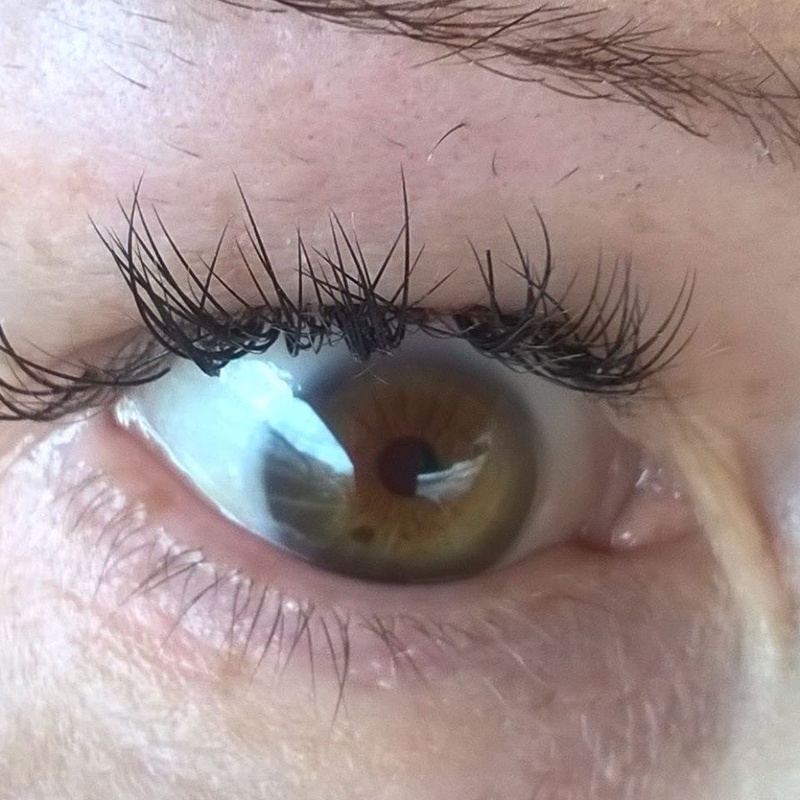 Some have such heavily hooded lids that cover their double eyelids; these are referred to as ‘inner double eyelids’. To give more prominence and liveliness to hooded eyes, the Super General Guidelines are a safe bet, but avoid using harsh black eyeshadow to cover the entire eyelid. Also avoid bringing dark eyeshadow colors too much into the eyelid from the outer 1/3 of the eye as doing so will make the eyes appear smaller. Eyeliner plays an important part in opening hooded eyes. Try to wing it out at the far end of the eye to visually lift them. Definition: I believe the Phoenix eye is very much an Asian thing. Precisely because it is only seen on Asians that the Asian eye is often stereotyped as the Phoenix Eye. Remember Mulan? The Phoenix Eye is so named because it resembles the eye of the mythical phoenix bird. I had such a hard time finding the description for the Phoenix eye and could only find information on Chinese websites. Because it is so elusive even in definition, here are pictures of people with Phoenix eyes. Makeup Tips: Since the Phoenix eye is very much unique in itself I have to resist the urge to simply say that a simple thin eye line would suffice. But no, as with all eyes that need definition, use a darker color eyeshadow color (like brown) to contour the eyes, along with eyeliner and mascara. If you want to downplay the little upward curve at the outer corner of the eye, draw a thicker line at the outer corner without extending beyond the eye. Do not wing it out. Lastly, draw on the lower lashline to balance the look. Definition: Do not confuse this with Phoenix eyes although the two look really similar (especially the drawings). The main difference between Slanted eyes and Phoenix eyes is the degree of slant in the eye. The Slanted Eye obviously has a greater slant but does not possess the little curve at the outer corner of the eye as in the Phoenix Eye. On the other hand, the Phoenix Eye does not slant until the corner of the eye. Vertical Gradient VS Horizontal Gradient – I Made A Mistake! Nevertheless, with all that said, there are no hard and fast rules to applying makeup. If you feel you look better and more confident with certain makeup looks, by all means stick to it. Afterall, our face is our canvas for our expression of art and form. And beauty is very much in the eyes of the beholder. So, tell us, which type of eye combination are you? This makes so much sense now! I never knew that they were contouring their orbital bone. I’m half white and half japanese and I never could define how my eyes were more asian except for the slight tilt. Ooh, those are some beautiful, expressive eyes! ^_^ Now you can experiment with new eye makeup tricks! Are you half asian? Or just Caucasian? Cuz if you are just Caucasian it is not likely that you have pheonix shaped eyes. Perhaps you just have a paraberal slant (upward tilt)? 100% Asian. I’m Singaporean Chinese. I follow these make up tips as you can see that, despite being entirely white European (northern Scottish), I have monolids with some epicanthic folds and very slanted eyes! Mostly I just have eyelash extensions and don’t bother with eye make up. I can’t decide what kind of eyes I have. I would think Phoenix maybe? 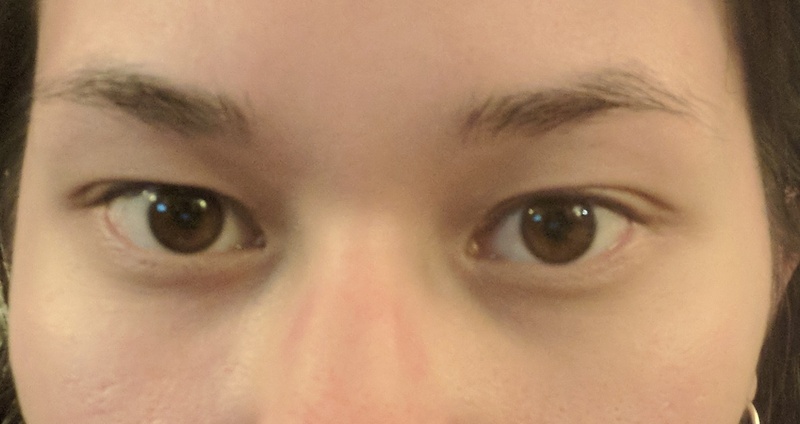 Can someone please help me determine what kind of Asian eyes I have? In this picture, I am only wearing mascara. And there is no eye shadow or eyeliner altering the shape of my eye. I would really appreciate feedback. What does this look like to you all?